Natasha moved to the U.S. from Russia in 2001. She was in business college in the Ukraine before emigrating, and she joined Dr. Hunsicker-­Morrissey’s team in 2002. 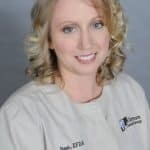 She became a certified dental assistant in 2005. Natasha also has certification in CPR and phlebotomy and obtained her EFDA in 2015. 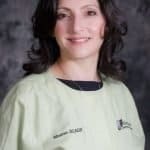 She is fluent in both Russian and Ukrainian, and she loves making teeth look beautiful with perfectly placed restorations, fabricating sports guards and night guards, and assisting with implant placement. Natasha lives in Northampton with her husband, son, and mother­in­law. In her free time, she enjoys swimming, baking, and watching HGTV to gain decorating inspiration.